Welcome to John Spognardi’s Site. Your Innovative Re/Max Signature Realtor. Are you looking for a Realtor who is ENTHUSIASTIC and ENERGETIC about buying or selling your home? Are you looking for a Realtor who is AVAILABLE when you are and keeps you informed? Are you looking for an HONEST person who genuinely cares about your needs in Bucks County: Warrington, Warminster, Warwick, Chalfont, Doylestown, Buckingham, New Hope, Solebury, Northampton, Newtown, Upper Southampton & all surrounding areas of Bucks County within a 60 miles radius. I also service Montgomery County Service areas: Hatboro, Horsham, Huntingdon Valley, Ambler, Blue Bell, Upper Gwynedd, Lower Gwynedd, Upper Moreland, Willow Grove, Abington, Glenside, Montgomery Twp. & all surrounding areas within a 60 miles radius. Click here and save $$$ for buyer representation. AND LET US ADD your name to our list of SATISFIED clients. 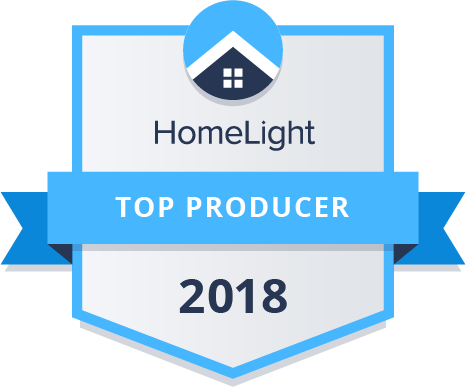 Best of HomeLight 2018 award. HomeLight ran the numbers on real estate agents across the country and you were in the top 1% of agents. Best of HomeLight winners represent some of the most talented and customer-focused real estate agents working today. We're pleased to give you this recognition and give you a platform to showcase your expertise. Based on the same real estate traction data we use every day to match home buyers and sellers with America's top agents, the Best of HomeLight Awards are a way for us to publicly recognize excellence in the real estate industry.